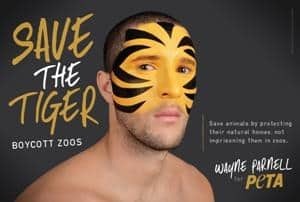 Wayne Parnell is a South African pace bowler who was a part of the golden Under-19 generation that has produced some outstanding Test cricketers. Wayne Parnell, born July 30, 1989, is a South African pace bowler who was a part of the golden Under-19 generation that has produced some outstanding Test cricketers. Shiamak Unwalla looks at 10 interesting things to know about the man has not quite been able to replicate his early success. Parnell captained South Africa to the final of the Under-19 World Cup in 2008, where they lost a low-scoring thriller to India. Parnell was the leading wicket-taker of the series with 18 scalps, including a devastating spell of six for eight against Bangladesh in the quarter-final. As far as talent goes, the 2008 group of Under-19 cricketers was richer than most batches before or since. Batsmen like Steve Smith, Virat Kohli, Kane Williamson, Ahmed Shehzad, Umar Akmal, Dinesh Chandimal, and Darren Bravo, and bowlers like Trent Boult, Tim Southee, Josh Hazlewood, Steven Finn, Chris Woakes, Rubel Hossain, and Parnell himself were all a part of that generation. 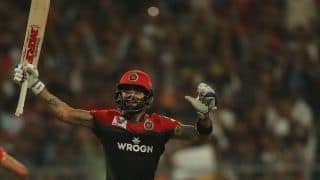 Known for being a strike bowler and a handy lower-order batsman, Parnell was picked up by Delhi Daredevils in the 2010 IPL player auction for a whopping $ 610,000. He has since transferred to Pune Warriors and back again to Delhi Daredevils. 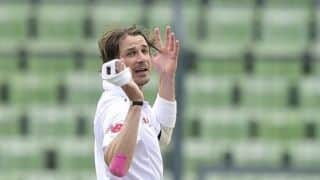 During IPL 2013, Parnell and Indian leg-spinner Rahul Sharma were charged with consuming recreational drugs at a party in Mumbai during the 2012 IPL. He was granted bail and continued to play IPL that year. The matter has since been settled. Though he is known mainly as a pace bowler, Parnell is also a handy batsman lower down the order. He is one of those curious batsmen who averages the least in Tests and the most in T20Is. However, this is mainly because he has played only three Test innings and nine T20I innings (in which he has remained unbeaten on six occasions). His One-Day Internainal (ODI) average of 23.31 is perhaps the most accurate gauge of his batting abilities. He averages 23.08 in First-Class cricket with eight fifties, and 25.56 in List A matches with two centuries and two fifties. When asked who he misses most while on tour, Parnell responded saying that it was his baby niece, whom he loves spending time with. He frequently tweets about her adventures, and poses with her on Instagram. In 2011, Parnell made the decision to convert to Islam after “a period of personal study and reflection.” Parnell later changed his name to Waleed, which means Newborn Son. 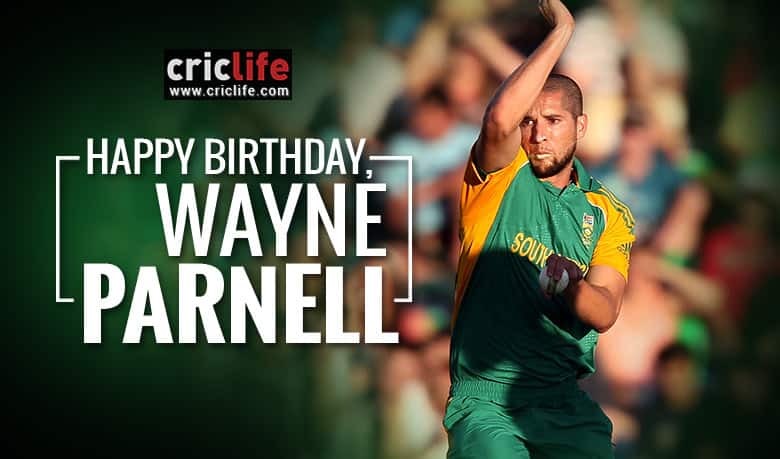 However he is still professionally known as Wayne Parnell. South African manager Mohammad Moosajee said that Parnell’s decision was taken independently and fellow Muslim teammates Hashim Amla and Imran Tahir (or for that matter Moosajee himself) did not in any way influence him. One of Parnell’s quirks is his constantly-changing facial hair. His hair style has changed drastically over the years, going from a buzz cut to a quiff, to a “parny-tail” which is his updated version of the ponytail. He has also experimented with a beard recently. During South Africa’s tour of Bangladesh in 2015, Parnell reportedly received an anonymous threatening phone call while in the team hotel in Dhaka. Parnell informed the relevant authorities immediately, and while he did not take it too seriously, he stated that it was troubling that the anonymous caller was able to get through to him at all.